Hi Cathy, I absolutely love writing. My school librarian recommended one of your books and I have absolutely fallen in love with your writing. I am determined to read all of your books because they have so much meaning and especially because they are real. I have been through a traumatic experience myself. When I was 6 an earthquake hit Christchurch in 2011 (maybe you heard about it) I was in 3 huge ones and believe it or not 20,000 aftershocks. I still can’t sleep in the dark and I start crying or panicking when something shakes or there’s a loud noise. I have always wanted to foster children when I’m older. I always feel that there are some kids who need to be shown love and know what it’s like to enjoy life. We need more people in the world like you. Hi. Cathy, Just before Christmas my daughter and I were in Chapters and I noticed she had a couple of your books. She lent me one she had bought called, “Cruel to be Kind.” I started it a day and a half ago and haven’t been able to put it down. I can hardly wait to read the rest of them. I love reading books that are based on, or are true stories. My daughter is studying to be a social worker and I work with special needs children. You are a wonderful person for taking in and caring for all the children you do. Plus being a single Mom to your own two children. You are a real inspiration. I have thought about becoming g a foster parent and after reading this book I think I will look into it. You now have another avid reader of your books. I can’t wait to read all of them. Hello again Cathy, just finished Nobody’s Son. Couldn’t put it down, so lovely the way you write and I love to hear how your family are growing up. I have every one of your books and cannot wait until February for the next, your number one fan. Hi Cathy. I have just started reading your books and I am so thankful that I found you as an author. I am nearly 50 and have never read a book in my life. I was at work a month ago and was just sat thinking “I wish I could read a book”. I looked on google for real life stories and took the plunge and ordered one of your books. It came within 2 days and I was so pleased. I picked it up that day just to test myself to see if I could read the first page. I did and I couldn’t put it down after that. The book was finished in a couple of days much to my surprise. So online I went again and ordered 2 more of your wonderful but very heart breaking books. As you can probably guess I have over half of them now and can’t wait to start reading Saving Danny. No doubt there will be plenty of tears but also a lot of realisation of how lucky I was and my son to be bought up in a loving family. I think you are one truly amazing lady along with your children. Our friends have just adopted a child who has been passed from pillar to post. Thank you again. Hi, I’m 14 years old. I’ve read 3 of your books and I’m onto the fourth one now. I absolutely hated reading before I read ‘The Darkness Within’ and I found your books. They are truly inspiring and so real. I think they’re brilliant. Your books are the only ones I enjoy reading and I think you are very inspiring because not many people could do what you do. I’ll always remember your stories; they’re amazing and so touching. Hello Cathy, I’ve read almost all of your fostering memoirs and I’ve thoroughly enjoyed each and every one of them. Your children are so lucky to have you as a mother. My friend recommended Girl Alone to me, as she is in a similar situation to Joss so she found comfort in relating to her, however she was placed in foster care under a care order and her foster carer is nowhere near as caring and capable as you! Thank you so much for these stories, they bring comfort to those in care and enlighten and entertain readers like me. Good Afternoon, Cathy! I recently finished Cruel to be Kind and, once again, you outdid yourself with your excellent writing style! My heart goes out to the children you foster and to you and your family. 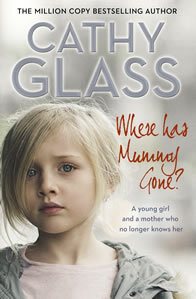 Since I finished this book so quickly, I wanted to know if there are any more Cathy Glass books coming up? If so, I want to make sure I order one as soon as possible. Take care and Happy Holidays! Hi Ms.Cathy Glass. I am from Sri Lanka, one of your keen fans to read your stories. I can’t express in words how I am interested in reading your books. I should tell you after reading your books I know more about fostering. As a primary school teacher I sometimes follow your methods when applicable. Thank you so much. Hey!! Miss Cathy. OMG!! I am sending you this e-mail in order to compliment you on ur amazing books!! I love your books so much! Best wishes for future writing! God Bless You! Hi Cathy, I am an avid reader of your well written books and I would like to thank you for all the hard work that you have done for the children you have fostered. You are really an amazing woman who has changed their lives and giving us, the readers, an insight on what fostering is. I hope you will continue to help these children. Thank you for your time in reading this email and have a wonderful day ahead! 🙂 God bless and warm regards. Hi, just read Can I Let You Go, was deeply moved. Love your books. Hello Cathy! I love all your books that I’ve read. God put you in that position to take care of those who needed it bad. What you do takes a lot of patience and kindness. Bless your heart! I finished reading The Night the Angels Came last night and, Cathy, it was one of the most heart-breaking true stories I have ever read. This book had touched my heart so deep. I cried reading your book from the page where Pat had to tell you that he had to let you go because he was a dying man all the way to the end. Your relationship with Pat was a bitter sweet love story. Even more heart-breaking for Michael, to be an orphan at a very young age. I cannot imagine my own child being alone in this world. How do you tell your child that you are also dying? It must have been a lot for Pat to prepare Michael for his dying day. Thank you for sharing and telling us your stories. You must be proud of Adrian, Paula and Lucy for being empathetic and resilient for all the foster kids that came to your home. God bless you. Hi Cathy, I just wanted to send an email to say I am in awe of you and all the work you do. You are a truly wonderful person. No words can come to describe you. I have read most of your books and cannot get enough of them. I cannot wait until you new book is released in 2018. I just wanted to say congratulations for all your hard work and determination. You have touched the lives of so many. Hello Cathy, I just read my first book written by you “Cruel To Be Kind”. I’m so glad that you are writing about some of the things that happen in the foster care system and letting the truth out. I’m really looking forward to reading the rest of your books. I had a best friend that was in the foster care system that had been abused by his carers but no one believed him. My family and I did. He went through so much but then passed away. He did everything he could to try to get away but he was always returned to them. I also have many other friends that are in foster care. Reading your book and the descriptions of the others makes me happy that many of the abused and neglected children get lucky enough to get away and taken care of! You are truly an inspiration! Thanks for the amazing books. Hi Cathy, Just wanted to send an email to show gratitude for bringing out such helpful and reassuring books. They helped me through my teenage years and my adult life currently! I was in foster care and if it wasn’t for the help through your books of how you managed the different foster kids I would never have had the courage to speak out about the abuse from my childhood, so i thank you again! I’ve loved hearing about your different situations and about you, and your children (although not so much children now!). Hope to hear back from you as i am a big fan! Yours sincerely. Hi Cathy, I have just finished reading “Cruel to be Kind” which was an extremely sad story not only of Max but of Caz and his sisters also. However it was really enlightening. Thank you for writing these books. I have read them all and anticipate your next one. I wish you, Adrian, Paula and Lucy a wonderful Christmas and the very best of everything throughout the coming New Year. 2018. Can I just say I have read all your books and they are amazing, so touching and emotional and they are true life. I can never wait to read your next book. You are an amazing person and work so hard. Thank you for sharing your stories. Dear Cathy, a 17 year old girl. I’m a girl who is not interested in reading books at all. But when I went through the summary of the ‘Damage’ book i wanted to read it and this is the first time I have read and finished one whole book. So far the best author. Really appreciate all ur hard work and the patience u have with the children ur dealing with. Thank u. Stay blessed. Dear Cathy, I wanted to email you to let you know how inspirational I find your books. So far I have read 5 and am planning to read the others. Your most recent book “Cruel To Be Kind” has had me in tears more times than I can say. I am a single parent also work full time as a neonatal nurse. Therefore I come across many safeguarding issues in my role and your books have helped me see things ‘from the other side’ as I always wonder what happens to the babies we send home to foster carers. Not that this happens often (luckily). I love your style of writing. Much love and gratitude to you all. Your children Adrian, Paula and Lucy are also amazing! Kind Regards. Dear Cathy, Thank you for your amazing books. Through your books I have found a new reality on looking at challenges as they come and speaking about my past to help myself to heal instead of internalising it all. Every day I have another one of your books in my hand and you have inspired me so much through everything you have done. Everything you have done for each child you foster is amazing and I admire that. I honestly wish I had a foster carer like you when I had been growing up. Thank you for your amazing books, you are my absolute favourite author. 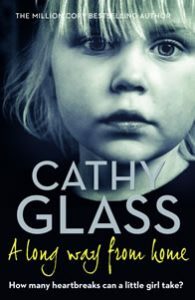 Hi Cathy, Yet again Cruel To Be Kind was another fantastic book that I couldn’t put down! It’s amazing how much of a back seat your own children had to take to accommodate hospital visits etc. I did feel for them night after night poor things. I hated Caz at the start but my goodness I just wanted to give her a tight hug by half way. I hope she’s at peace poor woman. Anyway just wanted say a few words as it really was an insight and well written, thank you. Hi Cathy. I just finished reading your book CUT. I loved it so much and I hope that Dawn contacts you. I am going to see if I can find so more of your books. This book really touched me. I cried for so long after I finished it. You’re a really inspiring lady and to all the people in your life are very blessed to have you in their lives. God bless Cathy. Hello Cathy. I have read ur books. I’m really impressed with them & they made me sad. I wish u & ur family all the best. Good luck Cathy. God bless u.
Hi Cathy. I have read most of your books and enjoyed every one. I have just read Can I let you go. Wow what a story. I have been working in education for some time supporting 1-1 and have a daughter with Turner syndrome. Kind regards. Dear Cathy I think your books are brilliant to read. I like how you cope very well and how you bring a child up the right way. You’re such an inspirational person and lovely too. I’ve read 3 of your books including listening to an audible book too. Once I get into them they can be hard to put down as I enjoy reading them. I can relate to these stories very well as I have been in foster care myself and have adopted children. Looking forward to hearing from you. You really are an amazing woman. 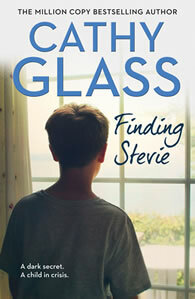 Since reading your books and my goal is to get them all, I would love to be a foster carer. That is what I want to do. I’m nearly 21 and I have my heart set on being there to help children through all the hurt. I know it’s not easy. I feel like I connect with your writing. Hi Cathy! I have been meaning to drop you a quick note for quite some time now as I have gotten through many of your books and at one point even had 3 of them on the go….lol. I am in complete awe of not only your wonderfully clear and magical writing style but the patience, compassion and undeterred passion you have for the children that are placed in your charge. As I read, I reflect on my own parenting (I have a 6 year old son) and resolve myself to improve and “do better” for my son in those areas that I admire in you. You are a wonderful role model to mother’s and women everywhere. Thank you for taking pen to paper and inspiring us all. Bless you. Warm Regards. I discovered your books this summer and have purchased and read several of them since, one after another! I just now finished Please Don’t Take My Baby and what an amazing story! As a first time foster parent, your stories inspire as well as educate me. Fostering is a tremendous and rewarding task and it is my desire to do it well. Thanks for sharing your experiences. Hello Cathy, First of all sorry for my English. I am from Belgium and I understand a little bit of English but I can’t write it. A few months ago I found 1 of your books translated to Dutch in the bookstore, and Sunday I found a second one. I ended it today. I loved them so much. I could not stop thinking about the stories and could not stop reading. There is one more translated but I’m sad the third book is the last one in Dutch. I know you have written more books and I hope one day all will be available in Dutch. Now I got mama ik Is je end hou je van me. I hope with all my heart that you, your family and foster kids have an amazing life. I just wanted to tell you you are doing a very good job. Greetings from a Belgium fan who wanted to say way more but I don’t know how. I just wanted to let you know how much I enjoyed your book Cut. Enjoyed might not be the right word. It was forceful and gripping. I could not put it down. If I had not known troubled kids (and their parents) I might not have believed the story. Reading it has inspired me to write. Hello Cathy, Can I just say how amazing your books are! I’m half way through ‘Girl Alone’ and it’s probably one of the best books I’ve read! I’ve heard a tone of positive things around my school about your books and I can’t wait to read more of your books! I love reading books about the author, the author’s experiences or stories about a child having a hard team at home and eventually their life gets better! Keep writing! Hello Cathy, I’ve been in the foster system my whole life so when I read your books I get emotional I feel both your and the child’s feelings through your book’s. I have read all your books and just wanted to say that there were amazing. Dear Cathy, I like your writing style and the stories that you tell in your books. I wish your future writing life may get success. Cathy, I started to read one of your books and became hooked. I plan to read every one of them. I can do my treadmill much longer now that I have your books to read. They are hard to put down. They make me laugh, cry and they are so interesting. Thanks for sharing your stories! I just finished Nobody’s Son. I am exhausted just from reading it. Aside from it being such a good read, I kept on thinking just how you do such a wonderful job. I am a mother of two wonderful sons who are established adults. My husband was mostly there except when he travelled, but my parents and other family where always in our lives when the children were young. When I see the responsibility you took on, even without a husband, I must say, I am in awe of you. I will remember you and the book for a long, long time. Thank you so much for being you. If I had my 5 o’clock cocktail I would drink to you. Hello, I just read your book “Damaged” and I cried reading this book. I am looking forward to read another one. I can’t believe how cruel people can be towards their kids…I was 20 when I had my first child and would never think of doing anything bad to them no matter the circumstances. I love what you’re doing with helping children that have problems. You really are a great person and deserve the best. I will continue reading your books until I have read all. Cathy this book – Cruel To Be Kind – really highlights how eating patterns affects the family, I really feel for Kelly and Summer. Hi Cathy, I really wanted to message you. I just wanted to tell you how much you have inspired me. I absolutely love reading your books and have read the majority of them. I had a difficult childhood myself and through your books I have found the inspiration I needed to pursue my dreams. I’m very close to having my degree in Social Work. I hope to become a successful social worker and to start making some well needed changes that society needs, and more importantly that children need. The last book I read of yours (from cover to cover in one day, as I couldn’t put it down) was “Another Forgotten Child”. I can honestly say I have never experienced so many feelings reading one book. I feel her pain after having experienced some of the same things. I’m sure thanks to you, she will grow to be an amazing young women. You truly are a remarkable inspiration. You are a tremendous author and I thank you for your books. Thanks for letting me see it from the other side. Hi Cathy, hope you are writing more of your fantastic books. I have read every one of them and they are truly amazing. Hi Cathy, I just feel compelled to write to you to tell you how much I enjoy reading your books. Thank you for sharing your stories with us, it makes me feel so lucky to have been brought up in a loving family home. I have just finished reading Can I Let You Go. Faye was so brave and put everyone else before her. I have never cried so much reading a book as I did when reading this one. It should be made into a film. Thank you and keep the books coming. Hi Cathy. Just wanted to thank you for your wonderful books. I now have bought and read eight and would like to read all you have written. I simply cannot put them down. You have an incredible family and are so amazing with those that you so lovingly care for. I pray that God will richly bless you in the work you are doing. Lots of love. 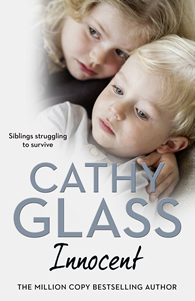 Dear Cathy, another beautifully written book and such a heart warming story. Max sounds a lovable child and to have all the problems he has is not fair. You have once again sorted through all this and given him a better life. Yet another book that I read in 2 days. I have since discovered that you write under the pen name Lisa Stone and I’m looking forward to reading The Darkness Within. Many thanks. Hello Cathy, I just have to say I’ve read “Cruel to be Kind” in one day. I think winter has come early and there isn’t anything better than to sit in a nice warm house and read. I was happy to hear Jill’s voice in this book. All the best to you and your family. I’ll be patiently waiting for your next book. Love love love Cruel to be Kind. God bless you! Dear Cathy Glass, I read all of your books and most of them I have reread about a dozen times. What an amazing and inspiring lady you are and what a difference you have made by fostering. I hope in the future that I can foster. I’m going to apply when my youngest is in school as I read it takes some years to be accepted to foster. I love all your books and I think what you do is amazing. Yours sincerely. Hi Cathy I have just finished reading Nobody’s Son, what a fantastic read can’t wait to read more of your books. I am a foster Mam to two and also my other children aged 11 and 25. Great to read Alex got the lovely family he so deserved. I love a happy ending and hope our two will be a lucky as Alex. Kind regards. Hello Cathy I hope you and your family are doing well. I’m not a big book reader but I saw your book Damaged and finished the book in three days!! Amazing. You write in such a way that I’m standing in your home observing everything that’s happening. You are incredible and I think you do amazing work with these children and teenagers. Speaking of teenagers I have just finished The Child Bride today in again three days. What a great ending to such a sad sad story. Once again I was there sitting on the sofa with you all taking it all in and feeling every emotion you all felt. I have brought two more books and I shall be buying all of them. Well done Cathy. Amazing writing and amazing work. You have got a non book worm to read and I thank you!! Keep up the good work. Many thanks and best wishes. I love your books, can’t get enough of them. I read one in a day or two. You are an awesome person. Keep up the good work with fostering your great at it.